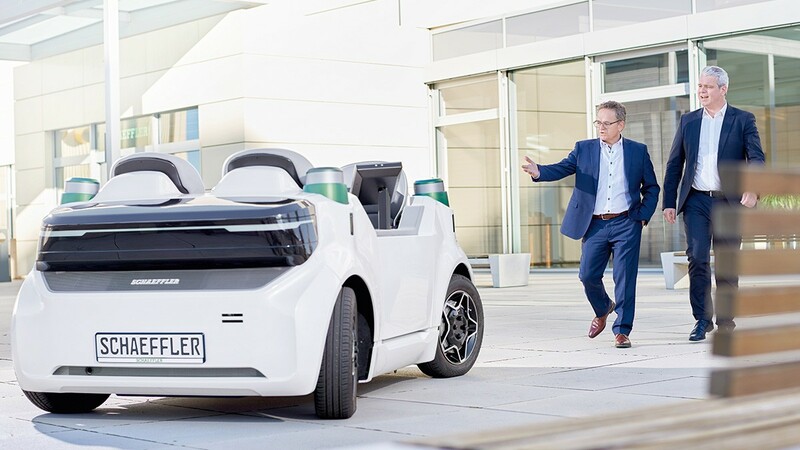 Global automotive and industrial supplier Schaeffler has for the first time placed investment grade bonds in the capital markets. The transaction has a total volume of EUR 2.2 billion and consists of three tranches. On the back of very strong investor demand the bond issuance was several times oversubscribed. The new investment grade bonds were issued by Schaeffler AG under its debt issuance programme. Net proceeds from the issuance will primarily be used for the refinancing of existing indebtedness. Besides the prepayment of a bank term loan by EUR 500 million, three callable bonds issued by Schaeffler Finance B.V. in an aggregate volume of about EUR 1.4 billion are intended to be repaid. The refinancing transaction is a major step for Schaeffler to establish a pure investment grade financing structure. 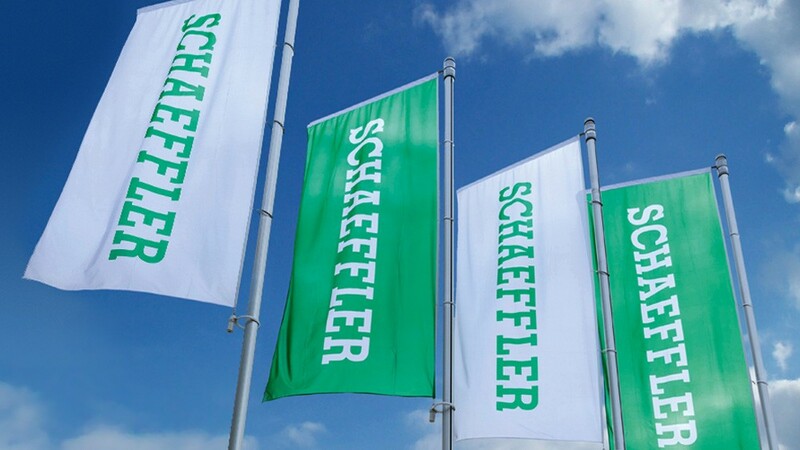 Schaeffler is rated investment grade by the rating agencies Fitch (“BBB-“), Moody’s (“Baa3”) and Standard & Poor’s (“BBB-“). The outlook of all three agencies on the ratings is stable. The newly issued investment grade bonds are expected to be settled on 26 March 2019. They will be listed on the Luxembourg Stock Exchange. The company had mandated Bank of America Merrill Lynch, BNP Paribas, Commerzbank and Deutsche Bank as active joint bookrunners for the placement of the new bonds. The early redemption of the callable bonds of Schaeffler Finance B.V. is planned for May 15, 2019. This release does not constitute an offer of securities for sale or a solicitation of an offer to purchase securities. Neither this announcement nor anything contained herein shall form the basis of, or be relied upon in connection with, any offer or commitment whatsoever in any jurisdiction. The offer will be made solely by means of, and on the basis of, a securities prospectus which is to be published. An investment decision regarding the publicly offered securities of Schaeffler should only be made on the basis of the securities prospectus. The securities prospectus will be published promptly upon approval by the Commission de Surveillance du Secteur Financier (CSSF) and will be available free of charge on the website of the Luxembourg Stock Exchange (www.bourse.lu). This announcement does not constitute an offer to sell or a solicitation of an offer to purchase any securities in the United States. Any securities referred to herein have not been and will not be registered under the U.S. Securities Act of 1933, as amended (the "Securities Act"), or the laws of any state within the U.S., and may not be offered or sold in the United States absent registration or an applicable exemption from registration or in a transaction not subject to the registration requirements of the Securities Act. Any public offering of securities to be made in the United States will be made by means of a prospectus that may be obtained from the issuer or the selling security holder and that will contain detailed information about the company and management, as well as financial statements. There will be no offering of the securities in the United States. This announcement and the information contained herein may not be distributed or sent into the United States, or in any other jurisdiction in which offers or sales of the securities described herein would be prohibited by applicable laws and should not be distributed to publications with a general circulation in the United States. The Notes are being offered and sold outside the United States only in reliance on Regulation S under the Securities Act. In the United Kingdom, this announcement is only being distributed to and is only directed at (i) persons who have professional experience in matters relating to investments falling within Article 19(5) of the Financial Services and Markets Act 2000 (Financial Promotion) Order 2005 (the "Order") and (ii) high net worth entities falling within Article 49(2) of the Order and (iii) persons to whom it would otherwise be lawful to distribute it (all such persons together being referred to as "relevant persons"). The Notes are only available to, and any invitation, offer or agreement to subscribe, purchase or otherwise acquire such Notes will be engaged in only with, relevant persons. Any person who is not a relevant person should not act or rely on this announcement or any of its contents. None of the Joint Bookrunners or any of their respective directors, officers, employees, advisers or agents accepts any responsibility or liability whatsoever for or makes any representation or warranty, express or implied, as to the truth, accuracy or completeness of the information in this announcement (or whether any information has been omitted from the announcement) or any other information relating to Schaeffler or any of their subsidiaries or associated companies, whether written, oral or in a visual or electronic form, and howsoever transmitted or made available or for any loss howsoever arising from any use of this announcement or its contents or otherwise arising in connection therewith. The Joint Bookrunners are acting exclusively for Schaeffler and no one else in connection with the offering. They will not regard any other person as their respective clients in relation to the offering and will not be responsible to anyone other than Schaeffler for providing the protections afforded to their respective clients, nor for providing advice in relation to the offering, the contents of this announcement or any transaction, arrangement or other matter referred to herein. In connection with the offering, the Joint Bookrunners and any of their affiliates, acting as investors for their own accounts, may subscribe for or purchase the securities of Schaeffler and in that capacity may retain, purchase, sell, offer to sell or otherwise deal for their own accounts in such securities and other securities of Schaeffler or related investments in connection with this securities offering or otherwise. The Joint Bookrunners do not intend to disclose the extent of any such investment or transactions otherwise than in accordance with any legal or regulatory obligations to do so. MIFID II PRODUCT GOVERNANCE / RETAIL INVESTORS, PROFESSIONAL INVESTORS AND ECPS TARGET MARKET – Solely for the purposes of each manufacturer's product approval process, the target market assessment in respect of the Notes has led to the conclusion that: (i) the target market for the Notes is eligible counterparties, professional clients and retail clients, each as defined in Directive 2014/65/EU (as amended, "MiFID II"); and (ii) all channels for distribution of the Notes are appropriate, including investment advice, portfolio management, non-advised sales and pure execution services. Any person subsequently offering, selling or recommending the Notes (a "distributor") should take into consideration the manufacturers' target market assessment; however, a distributor subject to MiFID II is responsible for undertaking its own target market assessment in respect of the Notes (by either adopting or refining the manufacturers' target market assessment) and determining appropriate distribution channels, subject to the distributor's suitability and appropriateness obligations under MiFID II, as applicable. The targeted investors are expected to have (1) at least basic knowledge and/or experience with financial products, (2) a medium investment horizon, (3) asset accumulation as investment objective, (4) the ability to bear small losses and (5) the risk tolerance and compatibility of the risk/reward profile correspond to 3 as Summary Risk Indicator (SRI).